There is a viscous porosity of flesh – my flesh and the flesh of the world. This porosity is a hinge through which we are and of the world. Reading in the flesh means we take the surface neither as an obstacle to deeper secrets nor as an end in itself, but as a densely intricate mixture of evidence and sign. This is despite the immediate allure of depth reading, which frequently allows us to get past misleading elements of a narrative’s self-presentation: is something else at work here? . . . Digging into the surface is crucial to reading in the flesh. . . . Surface and depth are coextensive in a way that frustrates both modes of reading. In an effort to capture just this sort of aporia, Heather Love has urged scholars to practice ‘flat’ readings, those that are, in the words of her title, ‘Close But Not Deep’ (Love, 2010). This approach has the virtue of ‘sticking to description,’ a laudable priority it largely shares with surface reading (Latour, 2005, 136–137). Love takes the text at its word, but, unlike proponents of surface reading, the flat reading she outlines retains a healthy measure of hermeneutic suspicion. By working to provide a ‘good description,’ flat readings ‘account for the real variety that is already there’ (Love, 2010, 377). In other words, by documenting tension, flat reading could describe the competing strains on Creseyd’s arrival without seeking to connect either to larger concerns. Flat reading is deeply appealing, and influences much of what I have to say about reading in the flesh. I do not describe the work of what happens in this issue as flat reading, however, because, as essays in this collection show, Love’s method puts too much stock in distance. Keeping the flesh at a distance, as [Jan] Zysk and [Emily] King demonstrate in their readings of early modern stagings, is a spectacular failure. In somewhat different fashion, [Jonathan Gil] Harris accounts for flesh’s work across distances of both time and place, while [Frances] Dolan interrogates the veracities of time and place in flesh’s recollections. Reading in the flesh, unlike flat reading, assumes presence, contact and a collapse of the comforting distance of documentation. 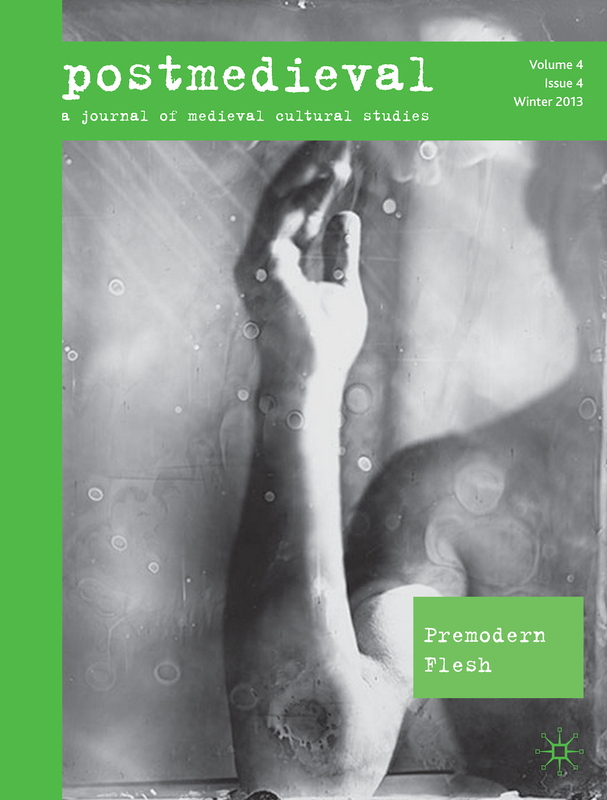 It does not link subjects through formal narratives that settle bodies into social position and literary history; instead, reading in the flesh enforces interpersonal implication at the level of the mutable, variable body. It is the aim of this issue . . . to begin new conversations about embodied life, autonomous subjects, and the potentials and risks of social (inter)subjectivity. This is, finally, a collective yet varied effort to flesh out what it means to live, write, and read in the flesh.